At Aura Dental we believe in prevention being better than cure and we recommend that everyone attend for a comprehensive examination and regular periodic examinations. You are never too young or too old to look after your teeth and oral health. Research shows that people who attend for regular dental examinations spend less on dental treatment over their lifetime. When problems are identified early treatment can be much more affordable and less invasive. New Patient Examinations – your dentist will conduct a full comprehensive oral examination this includes examination of your teeth, gums, jaw and soft tissues and a discussion with you about your past dental treatment and what you would like to achieve from a dental point of view. Your dentist will construct a treatment plan tailored to your specific needs and requirements. Periodic Examinations – your dentist will recommend how often you should attend for a periodic examination, this is usually every six months but each patient is different and may require examinations more or less frequently. At your periodic examination your dentist will carry out an examination of your teeth, gums, jaw and soft tissues and discuss with you their findings and construct a treatment plan for any items identified as requiring attention. Emergency Examinations – If you require emergency treatment due to pain or trauma your dentist will conduct a limited examination to investigate the cause of the problem and discuss your treatment options before providing treatment. Depending on the complexity of the issue further appointments may be necessary to complete treatment. We keep appointments available daily for emergency examinations. In most cases a visible examination is not sufficient to diagnose all potential problems with your mouth. In fact the majority of dental problems are not visible to the naked eye. 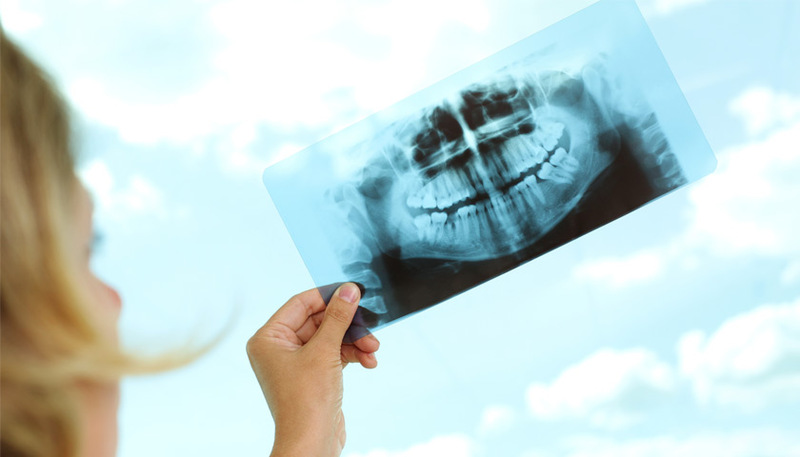 This is why X-rays play a key role in allowing for better and more accurate diagnosis and treatment. We use modern digital imaging apparatus which emits only very low levels of radiation and only take images that are absolutely necessary to allow for proper diagnosis and treatment.